Why Do Hurt People Hurt People? – Ronica Arnold Branson, Ph.D.
Ronica Arnold Branson, Ph.D. | Why Do Hurt People Hurt People? When we are hurting, it may seem that the whole world is closing in on us, but in reality, it’s not. It’s our perception of the situation. Sometimes a simple ray of sunshine through a kind act or word can turn your rain into a rainbow, and if we give our rainbows a little time after the storm, they will appear. But truthfully, this is not how many of us deal with a painful situation. 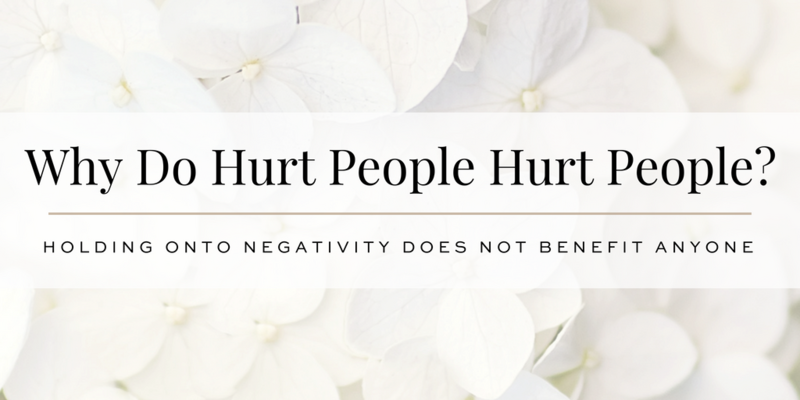 Often times when we hurt, we have a tendency to want to hurt others and lash out at those that are closest to us. We hold grudges, say hurtful things and even engage in hurtful actions, many times thinking that this will be a means to “get back” at the other person and to “let them know how it feels”. What problem does this solve? More often than not, this does not solve the problem. It usually only makes the problem worse and makes you feel even miserable than you did before. When this takes place, a snowball effect happens. You’re still hurting, you hurt someone else and their hurt may trickle down to someone else. Overall with just one action, you can have a negative effect on someone’s life and the lives of others. Don’t hurt others just because you’re in pain; this will not solve the problem and only will make things even worse. So we ask the question, how can I turn this one negative event into something positive? The key is FORGIVENESS and GRATITUDE! 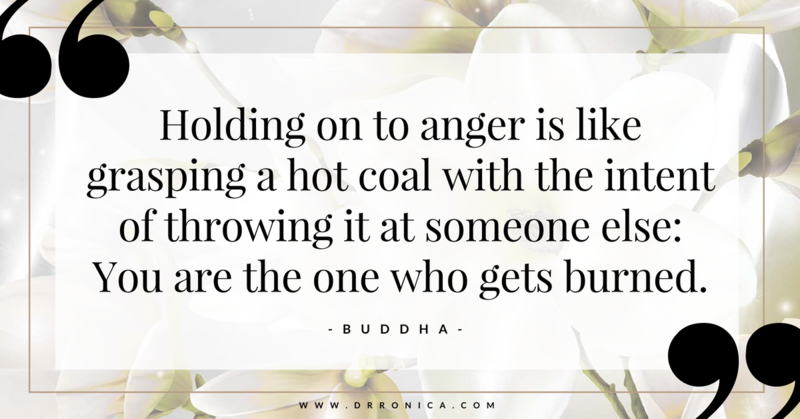 The truth is, holding on to anger only ends up hurting you in the long run. These things manifest themselves in physical symptoms: headaches, gastrointestinal problems, signs of more rapid aging, as well as internal symptoms, not being able to sleep at night, lose of appetite and not so positive change in moods. Do you know that person that you try to avoid at all costs because you just know it’s not a good day for them (any day) and they show it and complain about it. This might be a really good person, but they’ve allowed their feelings, their anger, someone else’s actions to lead them to an unhappy state and they carry that unhappiness everywhere they go. Are you THAT person? I certainly hope not. But the truth is, you must first you admit that you have a problem. And then you can work on the problem. You don’t have to continue to live that way. Change is possible. As a matter of fact, everyday we have a opportunity to change for the better. Isn’t that wonderful? Each day, ask yourself the simple question: What LITTLE things do I have to be grateful for today? 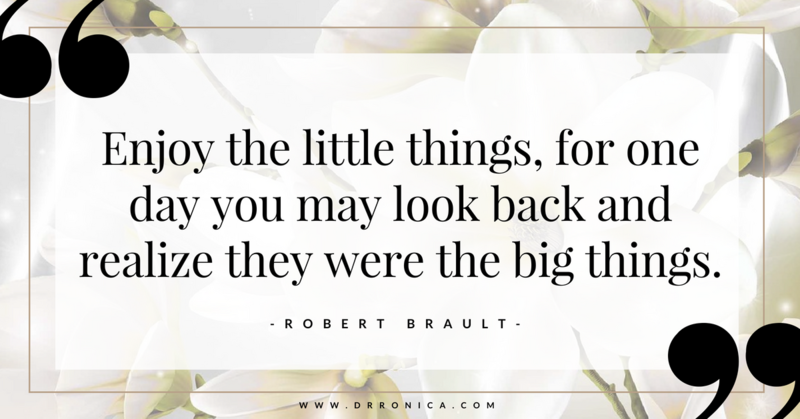 Recognizing these little things will help you to realize that these are really big things that we often take for granted. You have more than most! When you glow around with an attitude of gratitude, things can’t help but get better!